San Gabriel, CA – San Gabriel Valley Medical Center today announced it has been recognized as a 2013 Top Performer on Key Quality Measures ®by The Joint Commission, the leading accreditor of health care organizations in the United States. San Gabriel Valley Medical Center was recognized as part of The Joint Commission's 2014 annual report "America's Hospitals: Improving Quality and Safety," for attaining and sustaining excellence in accountability measure performance for heart attack, heart failure, pneumonia, and surgical services. San Gabriel Valley Medical Center is one of 1,224 hospitals in the United States to achieve the 2013 Top Performer distinction. "Delivering the right treatment in the right way at the right time is a cornerstone of high-quality health care. I commend the efforts of San Gabriel Valley Medical Center for their excellent performance on the use of evidence-based interventions," said Mark R. Chassin, M.D., FACP, M.P.P., M.P.H., president and CEO, The Joint Commission. 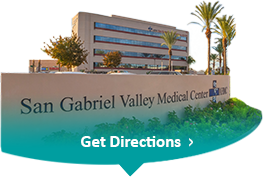 "We understand what matters most to patients at San Gabriel Valley Medical Center is the quality and safety of the care they receive. That is why we have made it a top priority to improve positive patient outcomes through evidence-based care processes. San Gabriel Valley Medical Center is proud to be named a Top Performer as it recognizes the knowledge, teamwork and dedication of our entire hospital staff," said Howard Ternes, Chief Executive Officer of the hospital. To view The Joint Commission’s Top Performer video, click here. Below are links to organizations that monitor and track quality in health care nationally and in the state of California.